Today in 100 Words: This week, we have (3) stations each 8 minutes of duration. We are going for an all out effort over those 8 minutes, with three minutes of recovery in between each station. 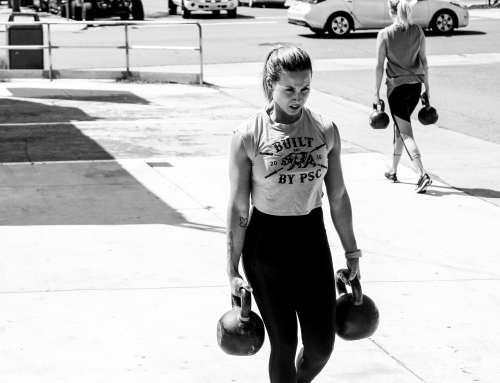 A focus on fat burning, metabolic conditioning and work capacity. Select weight accordingly. Each station features a barbell movement and body weight components to allow us to get as many rounds under that barbell as possible. If you are not pushing yourself on the pace, you likely won’t get very much out of it. Monday continues to be a day where we learn intensity. 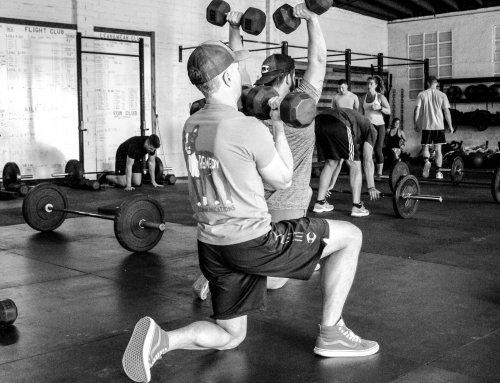 Warm-Up Focus: [SHOULDERS] If you lack ankle mobility, you will never squat well. Hopefully, by now, we are seeing some benefits in the mobility the past four weeks! Keep up what we have been prescribing. Three stations. 8’ each. 3’ rest between each. Bypass Station C and perform sets of 2 Cleans after completing A & B. 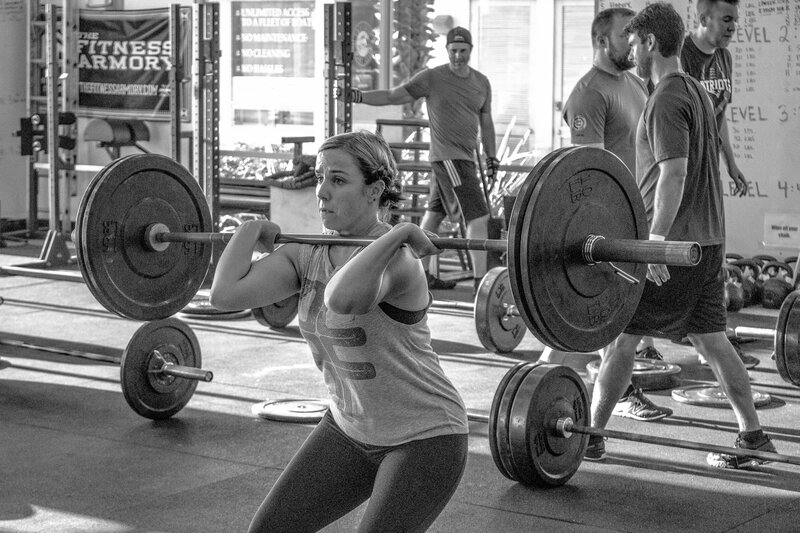 Phase 1: Clean mobility work can be added if members are unable to get into front rack position. 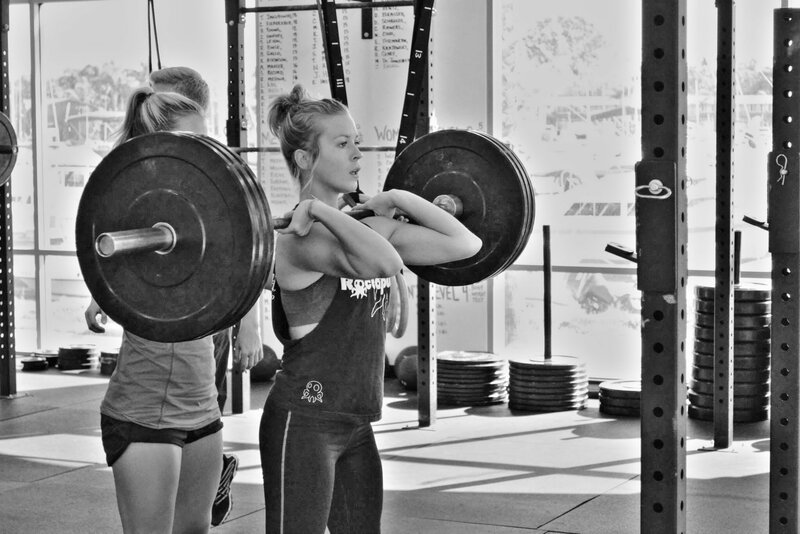 If people are very new to cleans, have them stick to 5 x 5 Hang Power Cleans. 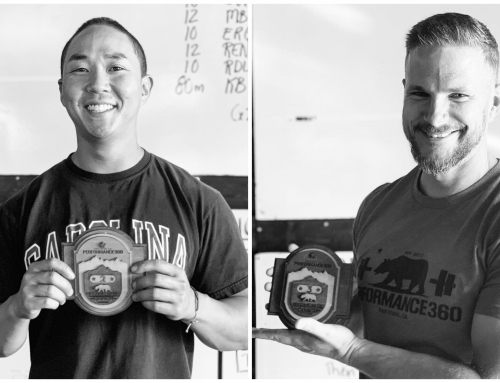 Today in 100 Words: This week, we go higher rep on our front squats at a lighter weight. So much of front squatting success is based around the strength of the core which doesn’t get much strengthening in the rep scheme of 1-5. By going up in weight a bit, we are letting our core brace us and get 50 reps in @ 50%. Focus on tall elbows and inhale at the top. Remember to get the hands outside of the shoulder on the front rack set-up so we are in external shoulder rotation. In Tier 2, select a weight that is challenging. Focus on the HINGE of the HIPS, not the BEND of the KNEE. 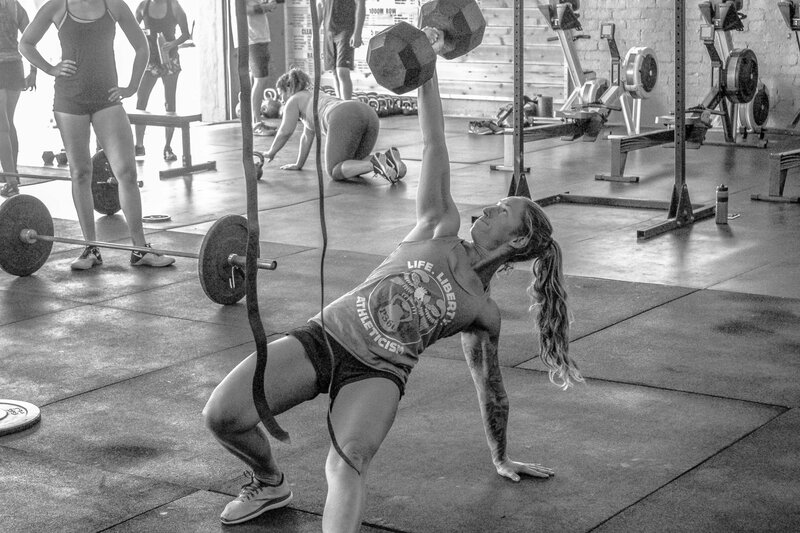 Warm Up Focus: [FRONT RACK] If front rack hurts your wrists, it typically means that you cannot get into external shoulder rotation. This means you are in internal rotation, so your hands are inside your shoulders and your wrists are in a weird, uncomfortable position. Getting into external rotation require mobility. The focus here is on opening up our lats, triceps and thoracic to take pressure off our wrists, and ultimately get into external rotation. 5 Push-Ups + 200m Run every time bell is set down. Today in 100 Words: This week, we extend the duration of the intervals a bit, but maintain an extremely high pace. Pace should be as fast as you can move and the movements as powerfully as possible. We are once again looking for maximum output for short bursts. 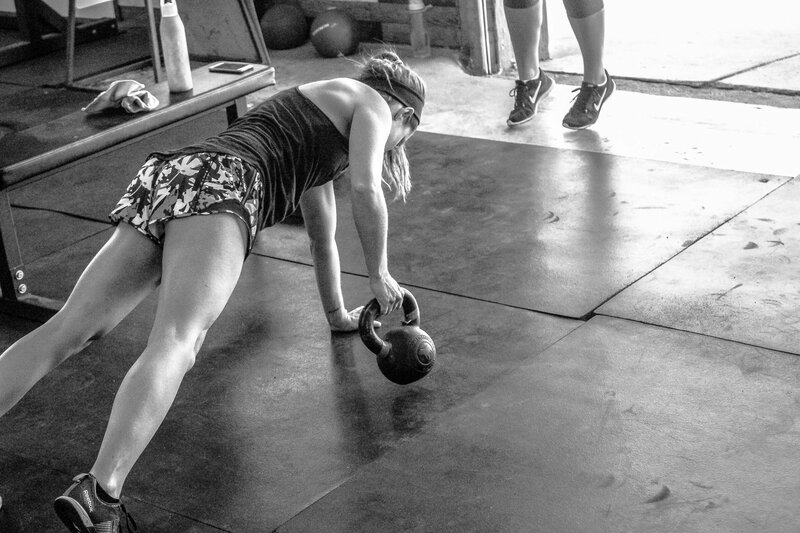 Perform the Burpee Slams with power. On the Archer Rows, make sure not to over rotate your upper body and make sure to perform on your hand (high plank), not your elbow. Go all out on the finisher and set a baseline. Warm Up Focus: [ANTERIOR CORE] We are continuing with focused work on that anterior core, as it’s almost entirely responsible for low back health. Crucial to your results, are staying out of anterior pelvic tilt during all core work, especially dead bugs. Then, Aerobic Finisher. For Time. 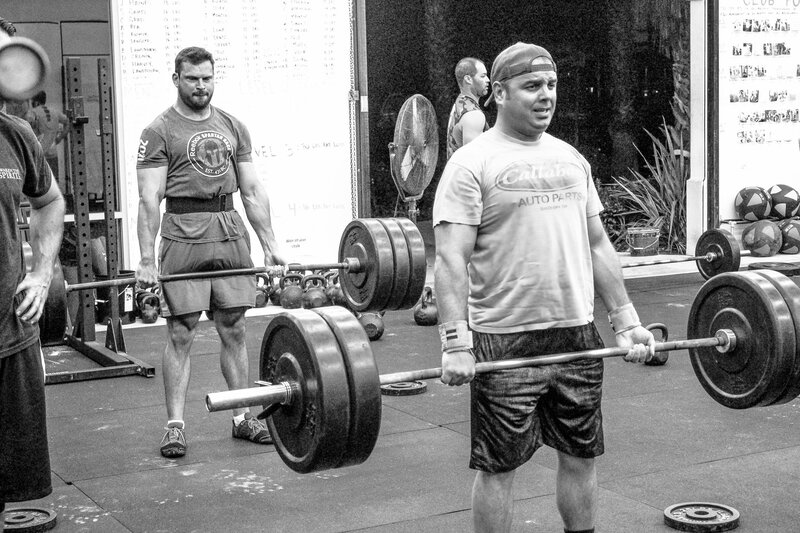 Today in 100 Words: This week, we have a higher rep, lower weight application of the deadlift. 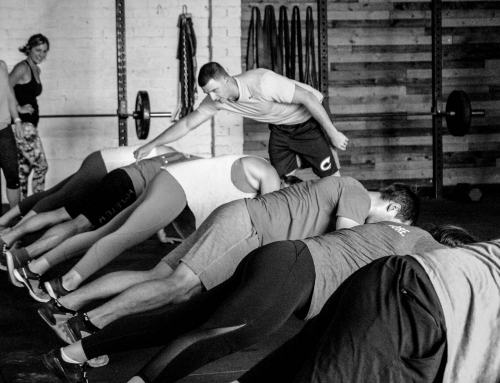 Often times, when we go heavy we bypass the core and glutes and we rely on the overall strength of the complete system. 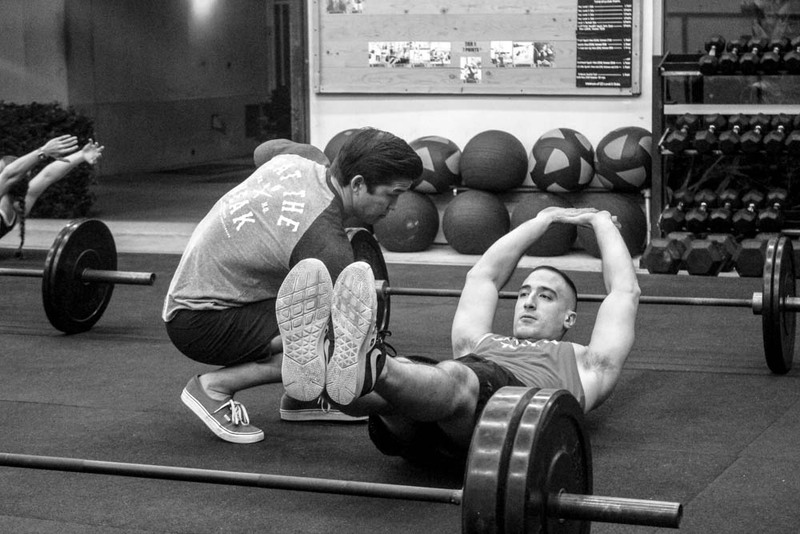 By dialing back, we focus on one of individual parts of that system: The hamstrings. On the Lawnmower Rows, Make sure the back toe is totally forward and the hips are totally squared. This will engage the glute medius where it otherwise wouldn’t. On your barbell hip thrusts, do not hyperextend at the top of the rep. Contract and squeeze the glutes. Dial in productive rowing efficiency on your 150m row pieces. 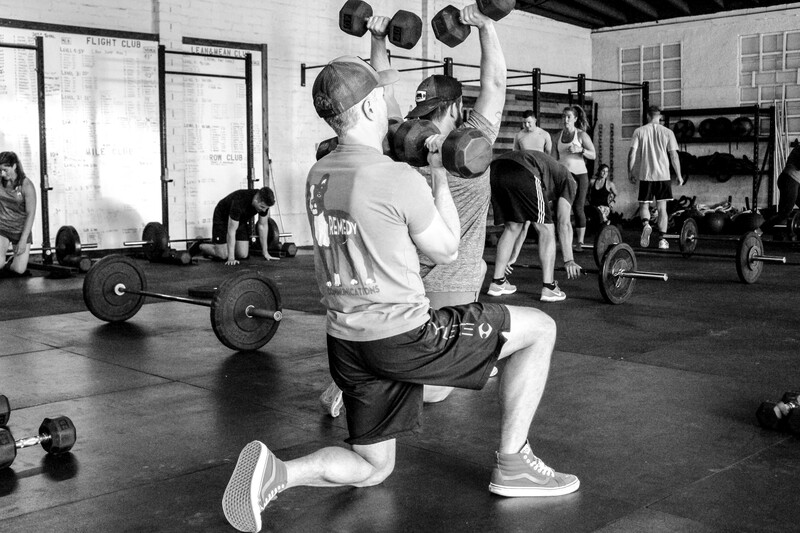 Warm Up Focus: [POSTERIOR CHAIN]. 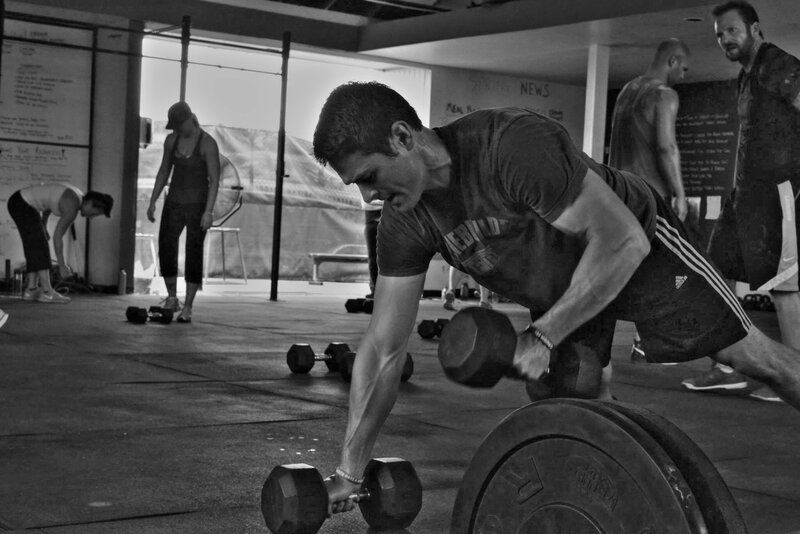 Today, we warm up and strengthen all muscles involved of the posterior chain involved in the deadlift. 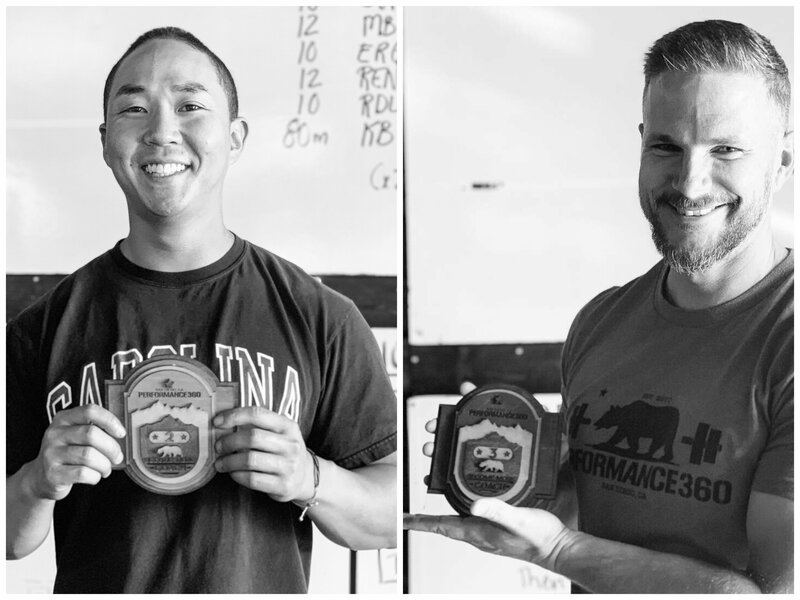 Our spinal erectors can be tough to target since they are easily overpowered by our primary movers (glutes, hamstrings), so these will give them some love, as well as teach the glutes to fire. 30 Minute Deck of Cards. 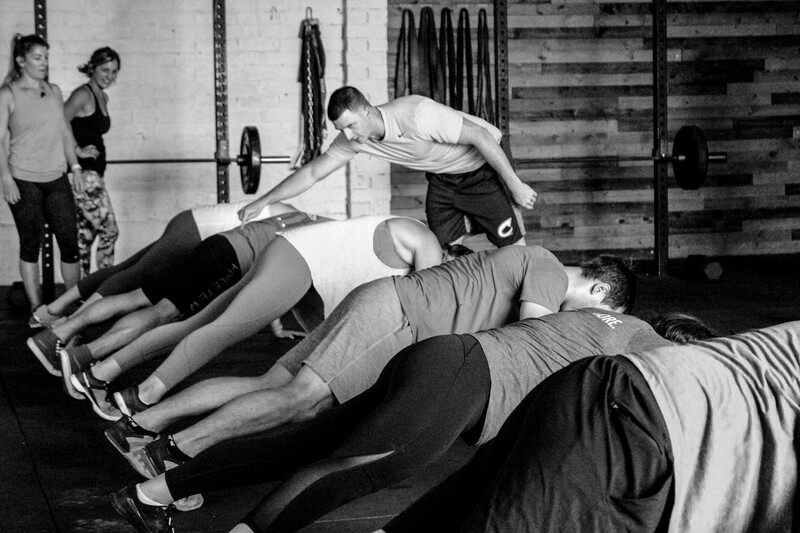 Today in 100 Words: Tier 1 will be a 20 minute slow moving circuit where the emphasis is on strength. 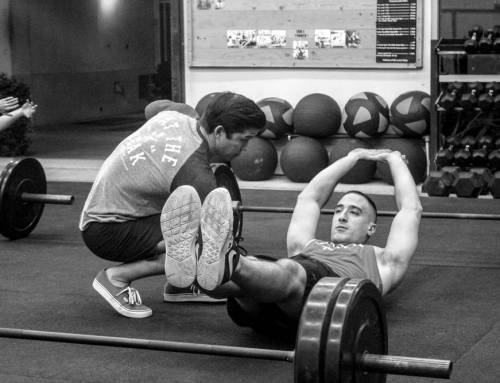 On your bench press, continue to apply a focus of about a 45 degree elbow angle and drive your feet into the ground. We continue to have the Overhead Squat as an option for those with requisite strength stability and mobility. It’s an awesome movement. Focus on a soft landing on your broad jumps, launch with your arms. 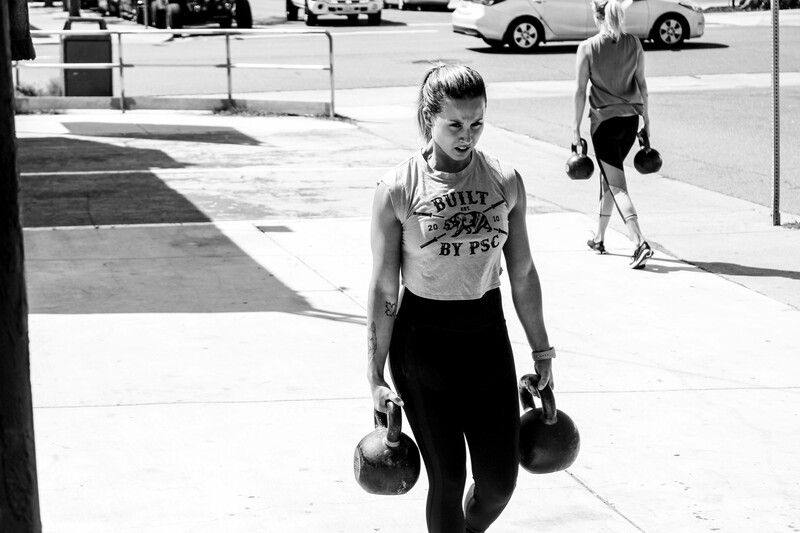 Deep set grip on your Farmer Walks, not in your fingertips. Tier 2 will follow similar pacing as Tier 1. Move slow and at a lighter weight than normal on the Turkish Get-Ups. Focus on eye contact with the weight the entire time and a completely locked out elbow.